Refractory castable low cement for applications in the dome of EAF. Based on Chrome Alumina with high strength and exceptional stability in the electric arc’s thermoshocks. High refractoriness and very good thermal insulation behaviour for applications up to 1650 C.
Alumina based low cement refractory castable for the tundish lining. 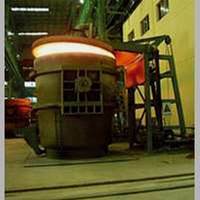 High refractoriness and very good behaviour throughout thermal cycles. Tundfil 25E is a refractory dry powder based on dead-burned magnesite (MgO) and olivine (ΜgO.SiO2), used in the expendable lining of the tundish. Its special formulation ensures very good insulating properties, resistance to chemical attach from the metal and many hours of continuous casting. 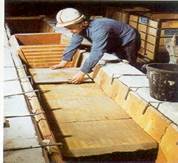 The insulating tiles TUNDTILES are a preshaped, refractory silicate material for the inner lining of the tundish’s surface, that comes into contact with molten steel. The tiles are refractory, insulating, with low density (approx. 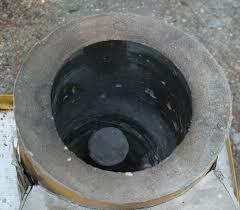 1,10 Kg/dm3) but adequately strong so that they are easy to be used with or without mechanical support. 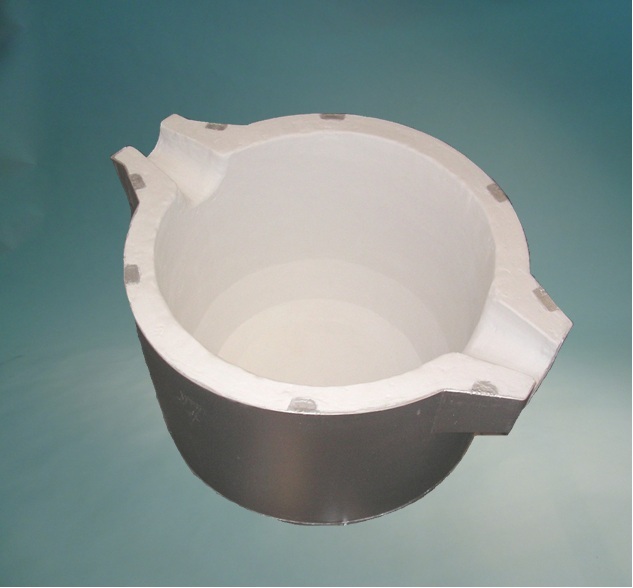 Refractory shapes for the tundish, precast and made of refractory low cement material REFCAST LC-85. Low cement refractory castable for applications on the EAF’s dome. 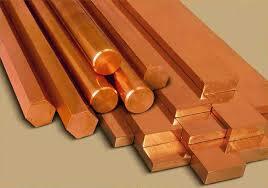 Based on Chrome alumina with high strength and exceptional stability in the electric arc’s thermoshocks. Refractory dry powder based on Alumina for the main lining of the induction furnace. It is applied by ramming and without using water. High refractoriness and exceptional strength against metal and slag attacks. Alumina based refractory plastic mass, of clay or phosphate bond, for the spout of the induction furnace. Castable and repairment refractory cement based on chrome corundum for high refractoriness. 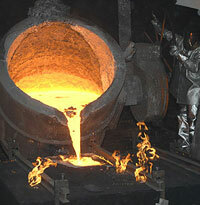 Zircon based refractory coating for the final coating of the refractory’s surface. It is applied after every application or maintainance/repaiment of the refractory surface to enhance its refractoriness. Alumina based, low cement refractory castable for the refractory lining in ladles. 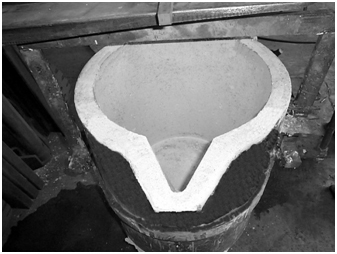 Self flowing, refractory, low cement based on alumina for the refractory lining of casting ladles. Very good behaviour throughout thermal cycles. Alumina based, low cement refractory castable for the permanent refractory lining in crucible furnaces for copper and its alloys. 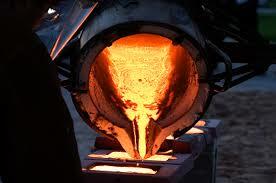 High refractoriness and very good behaviour througout thermal cycles. Insulating, refractory castable cement based on Alumina for the permanent refractory lining of crucible furnaces for copper and its alloys. 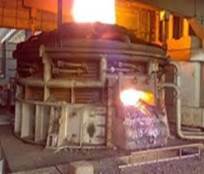 High refractoriness and very good insulating behaviour for minimum side thermal losses in the furnace. Insulating, refractory castable material based on Fused Silica, with exceptional thermal stability. 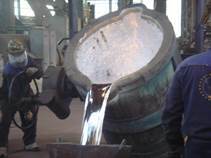 Provides a smooth and clean surface, maintained for multiple castings, ensuring a clean and slag-free metal for casting. Self flowing, insulating refractory castable material based on Fused Silica, with exceptional thermal stability. Alumina based, low cement refractory castable for the permanent lining of crucible furnaces for aluminium and its alloys. Insulating refractory castable cement based on Alumina for the permanent lining of crucible furnaces for aluminium and its alloys. Alumina based, low cement refractory castable for the permanent refractory lining in crucible furnaces for aluminium and its alloys. Low cement refractory castable based on alumina corundum and ingredients that deter aluminium from the refractory lining. 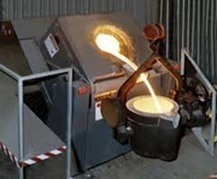 Suitable for refractory linings in the ramps, sils and loading doors of furnaces. Low cement refractory castable, alumina corundum and zircon based, with ingredients that deter aluminium from the refractory lining. 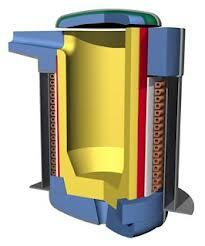 Suitable for refractory linings in the ramps, sils and loading doors of furnaces. Self flowing, refractory castable material based on Fused Silica, with excellent thermal stability. 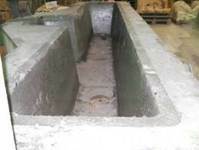 Launders, Filter Boxes, in precast shapes or in situ casting. Refractory castable material based on Fused Silica, with excellent thermal stability. 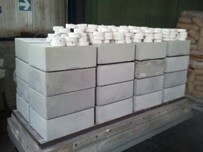 Refractory castable material with high resistance against chemical and physical errosion. 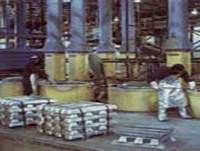 Transfer launders of molten aluminium where errosion is high.